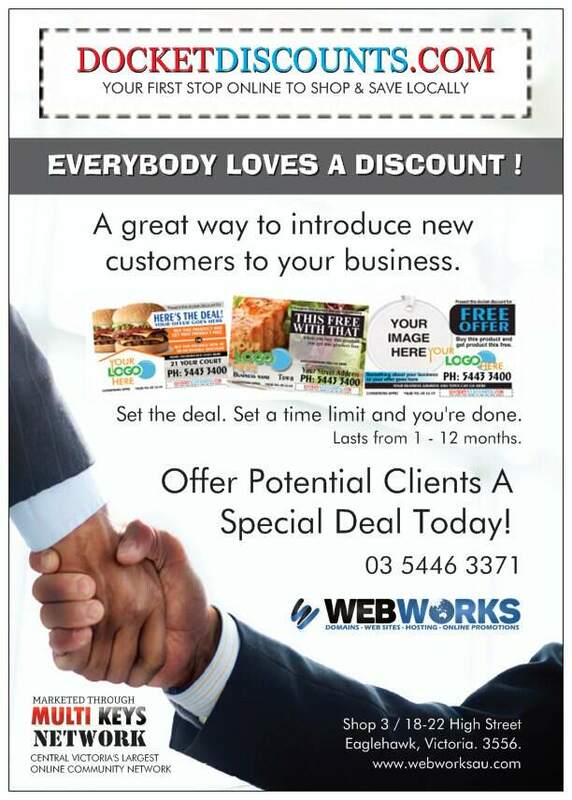 Everybody loves a discount and our Docket Discounts are a great way to attract more clients online. We call them an ad publisher's dream because this is the kind of advertising that people go out of their way to read. 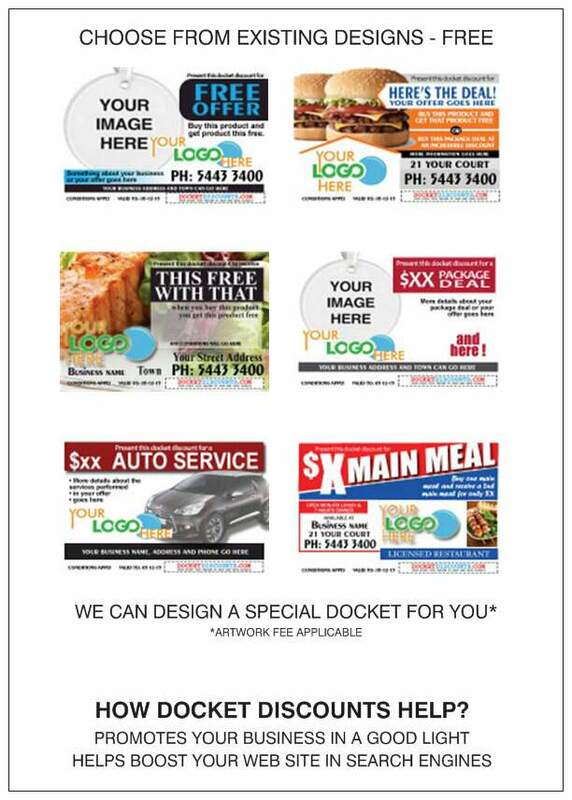 Dockets are promoted through the Multi Keys network giving your business wide exposure to the region. You set the deal. You set the time limit (up to 12 months) and you're done. The cost of promoting dockets through the Multi Keys network is $99.